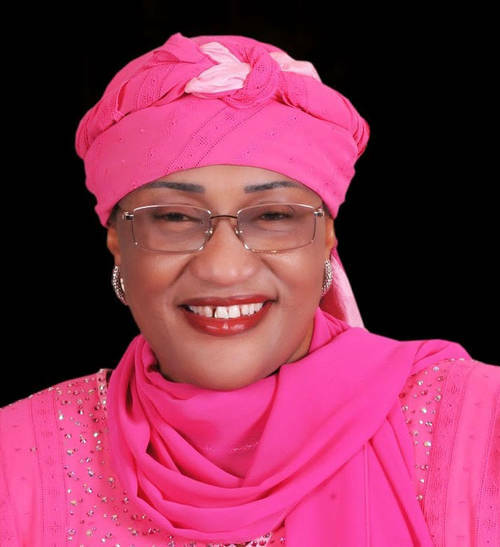 Madam Aisha Jummai Alhassan, the minister of women affairs of Nigeria has responded to trending news that she said Governor of Kaduna state, Nasir El-Rufai knows about kidnaping of 276 Chibok girls in 2014 before it happened. The Minister of Women Affairs’ special assistant on media, Dantsoho Suleiman made this known in a statement made publicly on Sunday, yesterday. The news about the arrant accusation about Governor Nasir El-Rufai and the 276 abducted chibok girls started trending on Friday after the governor said that the honorable minister of Women Affairs, Madam Aisha Jummai Alhassan has never been a supporter of President Muhammadu Buhari-led administration right before 2014 APC presidential primaries. The minister, Madam Alhassan has earlier professed support for former vice president Atiku Abubakar to be winner of 2019 presidential election while Governor Nasir El-Rufai had said a group of “Buharists” which imcludes himself are hoping President Muhammadu Buhari seeks reelection come 2019. 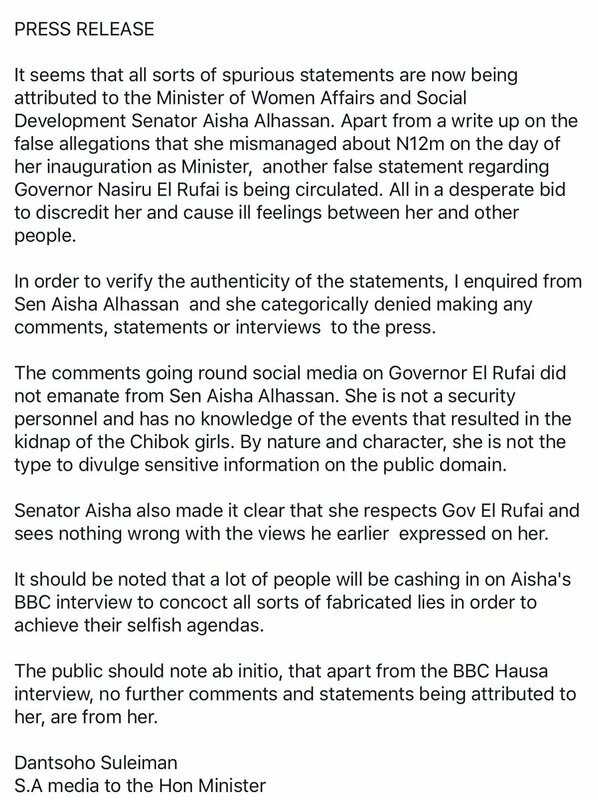 Dantsoho Suleiman continued that Aisha Alhassan respects El-Rufai, adding that there is nothing with his opinion of her.